HP RAID Recovery Services - Recover Lost HP RAID Data Now! 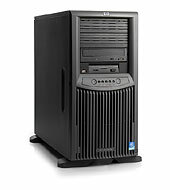 HP servers are frequently the workhorses of modern businesses and organisations. As such the data they contain is often vital and central to the role of the organisation and it’s day to day operation. Because the data RAIDs and servers contain is often critical, companies with failed HP servers and RAID systems will often want their data recovered as quickly as possible. Data recovery from damaged Hewlett Packard (HP) RAID and server arrays is a specialised discipline that needs to be completed correctly otherwise the data can be lost for good. It’s important that you carefully assess the value of the data on your damaged HP RAID server. If the lost data is of any value it’s important that you use a specialist data recovery company to repair the problem and recover the data. RAID data recovery from HP servers is not like recovering data from standalone single hard drives. The data held on a RAID is spread across all the drives that make up the RAID set – so for example if there are 8 drives that make up the RAID a document is spread across all the drives and is not saved to just one drive. It’s therefore imperative that the data recovery process is completed correctly and by skilled individuals who are experienced in recovering data from failed HP systems. Since we began recovering data back in 2002, we have successfully rescued the files from hundreds of damaged HP servers. As our knowledge has grown we’ve been able to develop specific recovery procedures, programs and custom hardware to ensure we get the very best recovery of your data. Emergency: A 24/7 service where your data is recovered ASAP. Includes out-of-hours, weekend and overnight services. We have regional data recovery locations in London, Birmingham, Glasgow, Leeds, Liverpool, Manchester, Northampton, and Sheffield, and operate a countrywide RAID and server recovery service. Call us now on 0871 977 2525. If your HP server develops problems, it’s important that you don’t panic and do something hasty that you then regret. A useful guide called the Top 5 Things To Avoid can be read here. Here’s a recent case study where we successfully recovered data from an HP ML370 series Proliant RAID 5.